Do you ever experience itchy or swollen eyelids? Although eyelid eczema/eyelid dermatitis can be caused by a variety of external or internal factors, most cases are characterized by itching, stinging and/or burning. It is also quite common to experience red, swollen or flaky skin as well. If you’re suffering from this inflammatory condition, we’re here to help you heal your eczema both naturally and safely. Prior to discussing tips and recommendations for eczema on eyelids, it’s important to first discuss why this type of eczema occurs. If you are experiencing red, itchy eyelid, flaky skin or skin irritation around the eyes due to topical exposure to certain metals, personal care products or pet dander, then you are most likely suffering from atopic contact dermatitis. This essentially means that your eye eczema is triggered from exposure to a topical allergen. Alternatively, irritant contact dermatitis is an eye rash that is triggered by a specific irritant such as chemicals, solvents, adhesives and very hot or cold temperatures. The irritant can enter the eye area, cause friction and damage leading to temporary discomfort and redness. If you can determine that neither of the above types of contact dermatitis relate to your flare up, then you likely have atopic dermatitis. This is an internal reaction expressed through the skin and often triggered by things like stress, consuming certain foods, seasonal or environmental allergies, etc. Although these types of dermatitis may be triggered differently, their symptoms are quite similar. 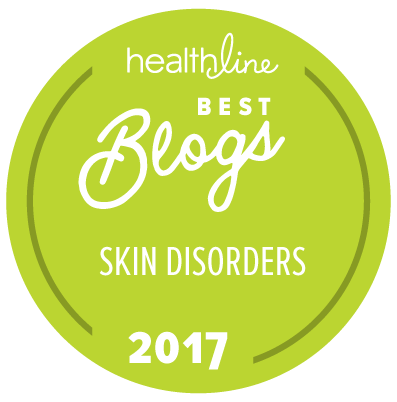 It’s best to get a physician’s diagnosis to properly diagnosis your skin condition just to be sure. Your eye area is very sensitive and we don’t recommend taking any chances. If you already suffer from eyelid dermatitis, then you probably already know the uncomfortable and annoying symptoms associated with the condition. Although rare, those suffering from atopic eyelid eczema can also experience complications such as cataracts, spontaneous retinal detachment and scarring. To best avoid these complications, it is always best to seek medical attention immediately, once symptoms are difficult to handle. It’s also important to make sure not to rub or scratch the area in order to avoid skin infections and eye problems as mentioned above. As stated prior, it’s important to never scratch your eye eczema. Scratching can cause further harm not only to the skin, but to your eye as well. Do my eyes itch or swell after I pet my dog, cat, etc? Do my eyes tear and/or itch when I use a certain type of mascara, eye shadow or eyeliner? Do my eyes change in appearance based on temperature? Have I gotten an insect bite on or near my eyelid recently? If you are able to answer at least one of these questions, then treatment is quite simple. Think about removing the allergen or irritant that might be causing your eczema to trigger. Obviously, getting rid of your pet might seem a little drastic, but try to keep their dander/saliva away from your eyelids. Perhaps wash your hands immediately after petting them or keep your face at a distance (depending on how severe the eczema is). Keeping them off your bed and sofa and anywhere you may rest your head is a good idea as well. Alternatively, if you cannot identify the source of your eczema, then your condition might need a little more care. There are thousands of eyelid creams that can be found in stores; however, many are made with unsafe, harsh ingredients. Because eyelid skin tends to be thinner and more sensitive, it’s best to opt for products that are more natural in order to fully soothe your eczema and not irritate your eye further. Our editor’s favorite product for the eyes or face or anywhere on the body is the Organic Manuka Skin Soothing Cream. Keep in mind this is a creamy balm so it’s very thick and rich and a little goes a long way. Some people who are used to light facial lotions, may find this product too heavy and may prefer our next suggestion. Gentle and natural is just what is required and that’s why we love Calendula Eczema Cream for Face. This cream is both gentle and cooling, as it contains both Organic Calendula flowers and Organic Aloe juice. It contains Dimethylaminoethanol (DMAE), a natural supplement that is anti-inflammatory in nature and also provides skin firming and anti-aging benefits as well. To gently cleanse the eyes and face, be sure to check out this natural Organic Calendula Face Wash. Similar to the ingredients in the cream mentioned above, this face wash is gentle with its blend of soothing herbs and will help calm red, inflamed skin. It’s also an excellent face wash for extremely sensitive skin. The wash and cream work really well together. If you’re experiencing extremely itchy and inflamed eczema, then you can always try adapting wet or dry wrap therapy for eczema around the eyes. Both wet and dry wrap therapy are common processes used among eczema sufferers and can be used as a short-term fix for moderate to severe eczema. To read more about these methods, make sure to check out both our blog posts: Our Eczema Trials – Wet Wrap Therapy And Our Eczema Trials: Dry Wrapping. Instead of using body bands or clothing, feel free to use bandages or cut out strips of clothing to drape over the eyes. Or easier yet, a sleep mask, but make sure it’s made of natural, not cheap synthetic materials. We like these cotton eye masks with no extra padding. NEVER use cortisone or a pro-topic medication for this method. The eyelids are extremely sensitive and you do not want to risk damaging your eyes. Lastly, if you feel like you have tried everything and have been unsuccessful, perhaps it is time to look at what foods may be triggering your eye eczema. Many eczema sufferers have found relief and treatment by simply changing their diet. 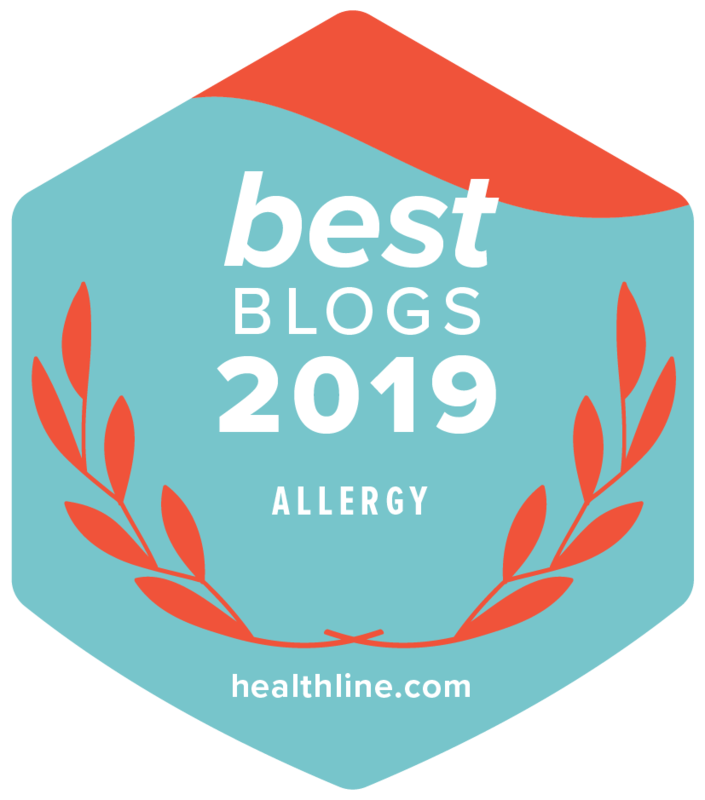 If you think your eyelid eczema might be triggered by food, then we suggest checking out our post: Our Eczema Elimination Diet Success (How You Can Do it Too!). An elimination diet is essentially removing certain foods from your diet for a specific time period and then reintroducing them slowly to determine which foods are causing a reaction. Do you suffer from eyelid eczema? Let us know how you treat it in the comments below! OMG- I woke up with an itchy eye, extra skin fold and redness. It happens every couple of weeks. Usually overnight. Hi Maureen – Definitely give our tips a try and work with your health practitioner in looking into triggers. Good blog. Eyelid Eczema, not a disease that makes you worry. Nowadays Eyelid Eczemas, not an issue. Many people got complete cure from Eyelid Eczema and enjoying Normal life now.You can treat it through Ayurveda. Try Ayurveda medicines that completely cures Eyelid Eczema without any side effects. Where can you buy Ayurveda medicines? Is that the name of the medicine for Eyelid Eczema? Thanks ! Hi. Every night I wash my face with aveeno clear complexion foam wash, then apply eucerin cream to my eyelids and under my eyes and rub it in before bed. THEn a thin layer of Vaseline on top. This REDUCES THE URGE TO ITCH in my sleep. And keeps the area moist. In the morning after I wash my face I spray rosewater lightly over my entire face and eyelids. THEN apply palms moisturizer. It has helped me IMMENSELY and I want to share with everyone. Please try this method. Hi Nicky – Oh no, I’m so sorry to hear this. Eczema is tough, but that’s why we have a whole section dedicated to the Emotional Impact of Eczema. Have you looked into your diet? Or considered possible allergens? I’ve been using Manuka honey on my 7 year old eye eczema for the past week. It cleared up a lot. Spread a thin layer all around her eye and on the lids. Left it on for 30 min and then washed it off. We used a Manuka honey brand rated UMF 15+. Highly recommend. Will the wrinkles caused by the ezcema go away? Does anyone know if or how long this takes :(. Feeling really hopeless. I am worried about if the wrinkles will go away too. I look like I’ve aged a good 10 years over a few weeks. Hi, that was torturing me too. I’ve been going to the dermathologist for weeks now. Ten days ago I realized the only thing I’m always exposed to in large amounts is coffe (I usually drink about 5 big coffee mugs per day). I absolutely LOVE coffe but I will do anything it takes in order to feel better. Long story short I’ve been drinking less than a cup per day (to deal with the headache due to lack of caffeine) and my skin is nicer than ever! or at least I it’s the nicest it has looked in more than a year. It feels soft and healthy and the wrinkles have disappeared! I don’t know for sure if coffee is the reason why I’ve been feeling so miserable for so long, and I don’t know if I’ll have a flare up again for some reason, but all I know is that I’m feeling great and the eternal doubt of wether or not the wrinkles would be on my face for ever is gone. Eyelid eczema is the worst! I had it for years, finally did a dermatologist allergy patch test, found out I’m allergic to CHROMIUM which is an ingredient in my favorite Origins Ginsing Mascara, which I stopped using and almost never get eyelid eczema any more! I wear little makeup, but thought Origins (being plant based) would naturally be non allergenic, then come to find out I’m allergic to a naturally occurring substance. Chromium is not necessarily harmful, it’s just harmful to me. I have had eczema on my eyelids for about 10 years. Nothing works. I’ve tried everything. It sometimes goes away on the right side but never on the left. Its always there. I’ve tried diets, creams you name it. I’m so uncomfortable. I mostly don’t wear makeup anymore. Only on special occasions. I just got engaged and I would like to look normal when I get married. My brother has a condition the last two months that gives him a watery eye with skin slightly scaly. The two doctors he saw don’t know what it is. They gave him drops that have had no effect. It is not pinkeye. The scaly skin on his lids has now begun on his cheek and his opposite side temple. Can you suggest where to look for answers? My net search hasn’t helped. Thank you. Is it possible he’s reacting to something he is using on his face or on his eyes? I would look for more doctors to help with a proper diagnosis. Maybe an allergist too in case he’s reacting to something. Anyone have tips for getting the swelling down? It’s sooo bad. Just ordered the face cream for starters but decided I am not happy with Drs advice to “try” an antibacterial eye ointment. There is no infection. Just inflamed. And itchy. Have you tried cold compresses to help with the swelling? Yes I do this on and off as I am able to. Just ordered an eye mask I thought I could chill as well. Hoping this comes to an end soon. I have been told by doctor i have dermatitis in eyelids , she gave me cortisone cream did not help now epaderm but no better wild the calendula or outs help ? I’ve had eye eczema for about 7 yrs now. I have good days and bad, mostly because of the weather. I’ve had eczema all my life somewhere on my body….I’m 58. Like others, cortisone does not work. If I find something that starts to work well, it doesn’t seem to last long. So far, Cerve cream and Vaseline keep it at bay. But stress makes my eyes itch and it’s hard to get them healed. I’ve been trying different probiotics hoping it will get the immune system in line …no luck so far. Anyone else try probiotics? I’m new to the eyelid eczema game- mine just started about a month ago… it’s been a lot colder here than it usually is, and for much longer. I haven’t changed any of my facial products, or been exposed to different contaminants. No change in diet, either, so climate was the next logical solution. I was so worried what I had was fungal! I’m actually kind of relieved, as I’ve been treating my 6yo’s eczema (legs and arms) for a few years now. We will do a coconut oil spray on the really bad days (I think the brand is YES to… In this case, YES to coconut). He will NOT let me put cream on him since the last time we tried that with the Aveeno colloidal oatmeal, it ended up stinging really badly. The spray is cold, but I imagine that might feel nice on a facial dermatitis. Especially an itchy variety! I use Cera Ve face wash, it’s very gentle and I haven’t had any side effects from it. I follow up with rose tonic and rose water spray from Pixi by Petra. All three products came from Target, and are under $15. I had samples of Clarins multi-active day cream and multi-active night cream. Those worked so well, my eyes looked fairly normal for a day or two! However, I couldn’t justify buying two lotions for $200. Yikes! My regular skin care regime (see above) has worked fairly well, but I still have an insane amount of itching and dry, cracked skin. I have incorporated neosporin gel as a 3xdaily routine. I use it all around my eyes, and that has kept the worst at bay. I think I will try switching to a calendula or manuka based cream and see how well it goes. Thanks for all the info- very helpful and interesting!